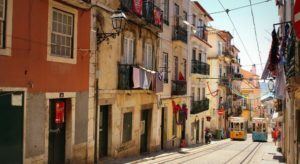 Are you about to visit the portuguese capital? Wondering where to relax on the sand? Here is our selection of the best beaches in Lisbon! The capital of Portugal and “world city”, Lisbon is a vast urban conurbation set over hills at the mouth of the Tagus and facing the Atlantic Ocean. With 2,821,876 inhabitants in the whole metropolitan area, Lisbon is the 15th most populated city in the European Union. 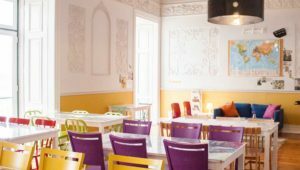 Instead of restricting yourself to Lisbon’s concrete and mineral urban side, why not indulge in the magnificent coastline adjacent to the capital? Some scientists have claimed that Lisbon’s beaches are threatened by a half-metre rise in sea level as a result of global warming. This could cause some sandy beaches to disappear. To enjoy it while there’s still time, here is our selection of the best beaches in Lisbon! 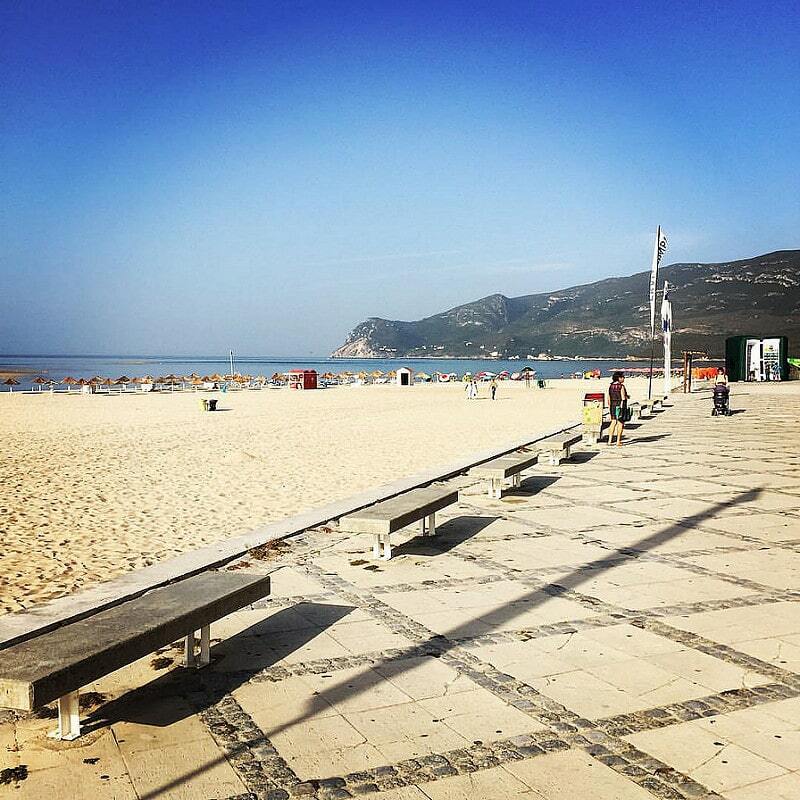 The white sandy beach north of Lourinhã is one of the best beaches in Lisbon. The beach is a perfect spot to surf, bodyboard, play mini-golf or sunbathe on the sand. Located to the north of the Sintra coast, the 250-metre long Praia de São Julião beach is one of the most popular beaches in Lisbon. Surrounded by high cliffs offering breathtaking views of the city of Ericeira, this picturesque beach is ideal for hiking and surfing. It is the first beach of the Sintra-Cascais Natural Park. 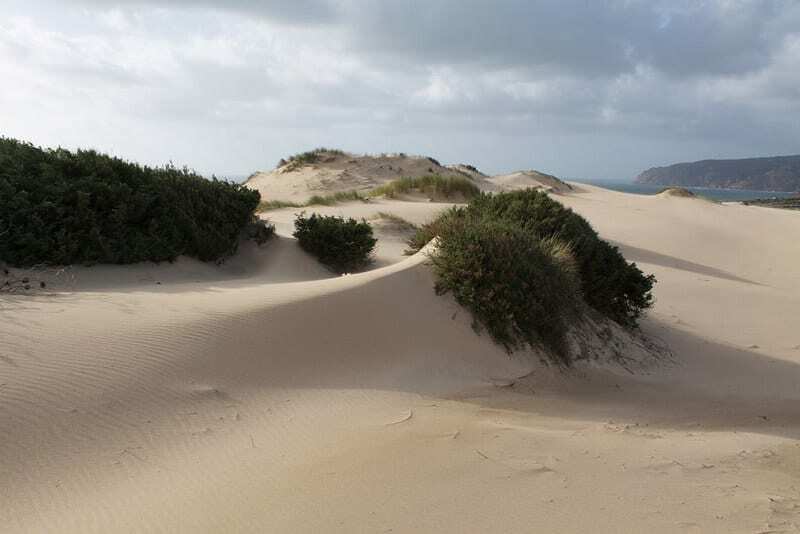 This beach is famous for being overhung by a majestic dune of natural rock, formed by the accumulation of sand brought by the wind and the ocean. 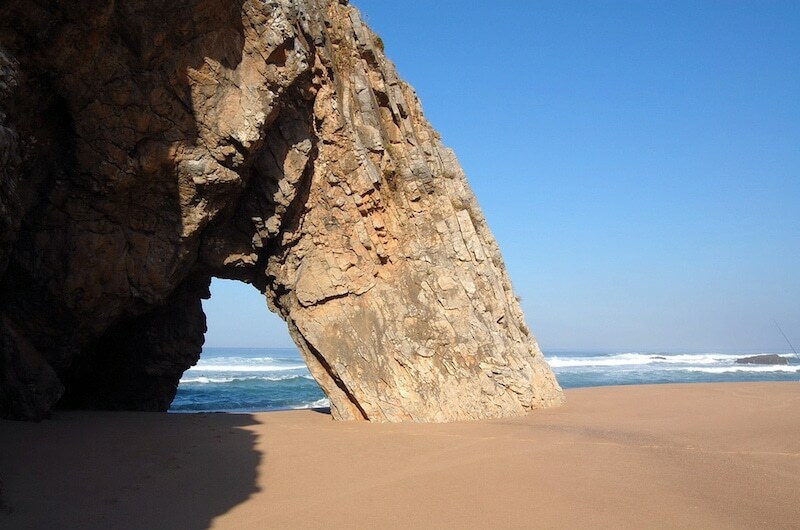 By road, you can reach Praia de Magoito via the villages of Magoito or Fontanelas. On foot, you have to go down a long wooden walkway from the top of the cliff. Good to know: the southern part is much less frequented. 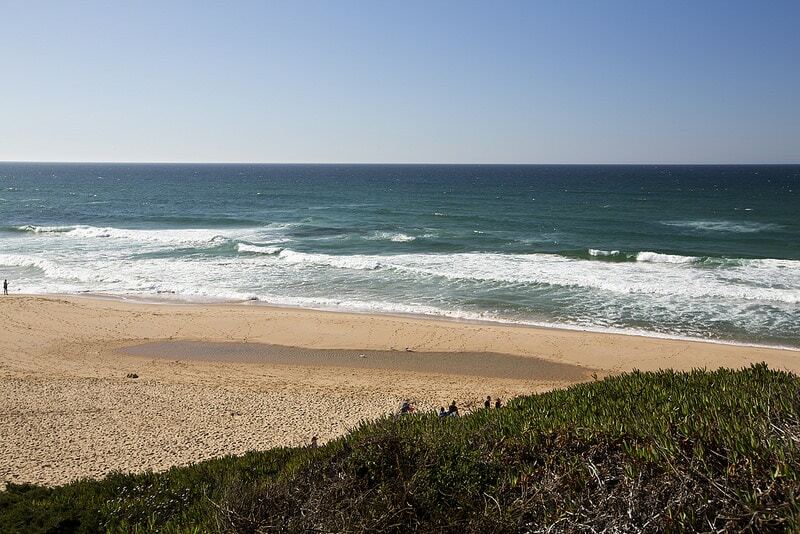 If you head further south, closer to Lisbon, you will find one of the most family-friendly beaches in the region: Praia das Maçãs. 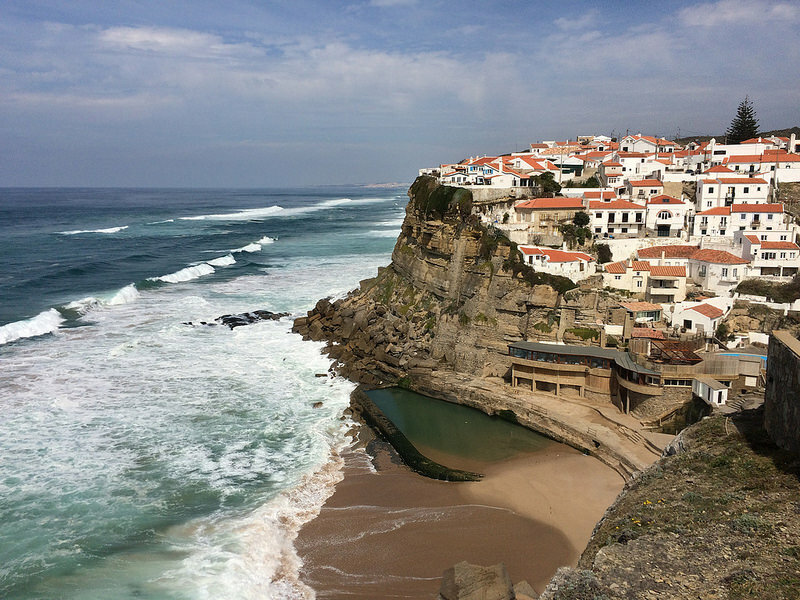 The “beach of apples” is accessible from the city of Sintra. It features a very wide sandbank with natural swimming pools: an ideal place to relax. A great location when the ocean is rough. Right in the middle of Sintra-Cascais Natural Park, this beach is crowded in summer, and difficult to access by car due to the scarcity of parking spaces. Thanks to its 400-meter length and its unique topography, it is a true paradise for surfers and swimmers. Some say it is one of the 20 most beautiful beaches in Europe. Don’t miss a detour via Cabo da Roca, the westernmost point on the European continent. Photo credit: Flickr – Aleksandra M.
Guincho beach is one of the most popular beaches on the Cascais-Sintra coast. Nestled between town and mountain and sheltered from the winds, it hosts numerous international sports competitions (particularly surfing and windsurfing). 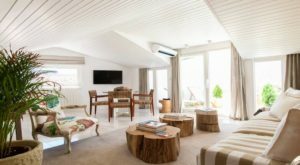 However, you will be lucky if you find a spot on the sand of Praia do Guincho in summer as the beach is often crowded with tourists and families. 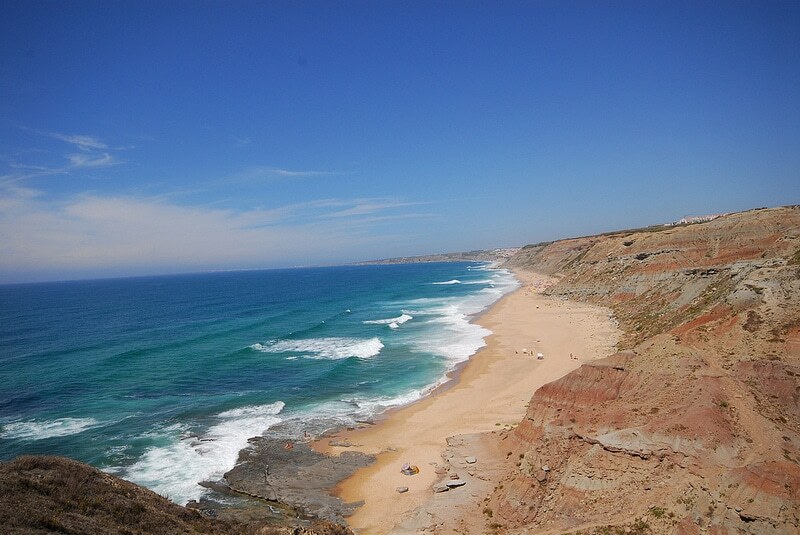 Just south of Guincho beach is Crismina beach, a bay surrounded by cliffs. The beach leads to a wide area of natural dunes where you can admire the sunset: a true paradise for lovers and an idyllic setting for a successful romantic evening. In addition to this wonderful scenery, you can indulge in delicious seafood in the restaurants situated along the beach. Located on the edge of the Estoril railway station, east of Cascais, Praia do Tamariz is one of the most touristy beaches of Lisbon. If you’re in the mood to party, you’ll find numerous bars and nightclubs in the area. If you are looking for a sandy strip to relax in peace, it’s best to relocate to the northern beaches of the coast. 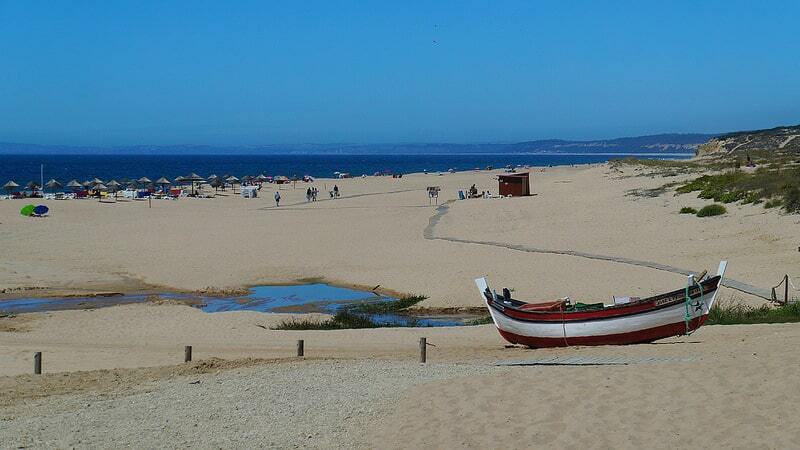 Praia de Carcavelos feels closer to Lisbon: located in the Lisbon suburbs, this beach is taken by storm in summer. 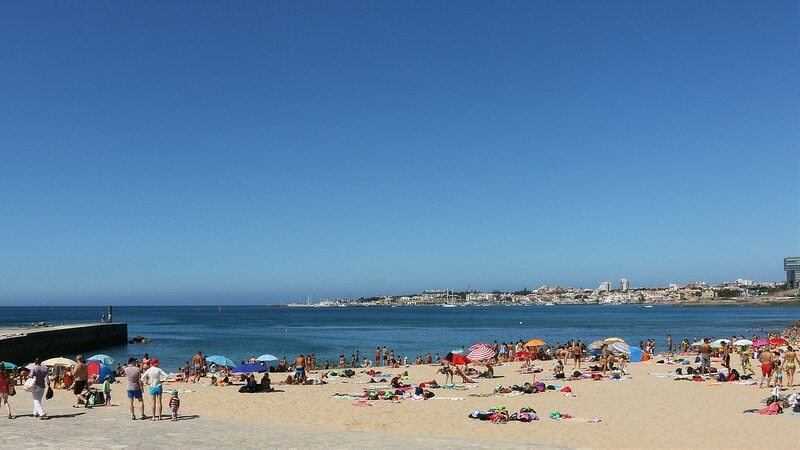 Accessible by train from Lisbon, it offers the largest sandy strip of the beaches of Lisbon. You’ll find many bars and restaurants to have a good time. 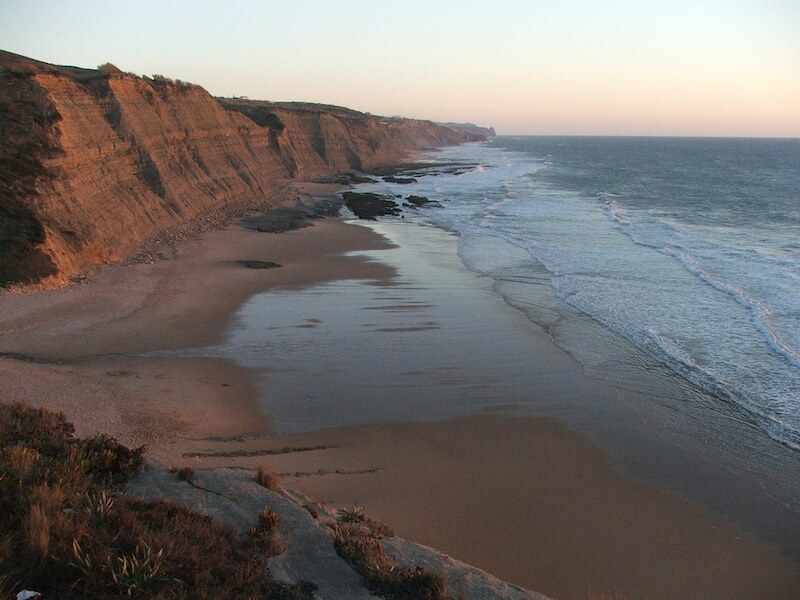 Here we are on a beach of the southern coast of Lisbon: the beach of Meco, near Setúbal, is sheltered by a clay cliff. 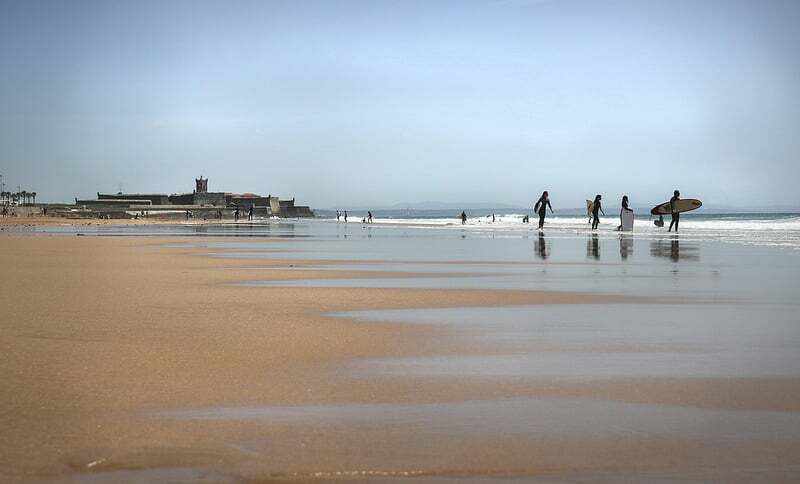 Good to know: though Praia do Meco is a popular haunt for Portuguese naturists, families can easily come to bask on the northern side without being harassed. The scenery is reminiscent of a tropical country: a long beach of immaculate white sand bordered by a calm sea. Praia da Figueirinha is one of the most beautiful beaches in Lisbon and Portugal. A great beach for all ages! 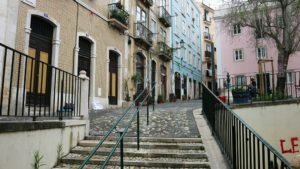 How to get to the beaches from downtown Lisbon? From Lisbon, the best way to reach the beaches is via a suburban train from Cais do Sodré station. 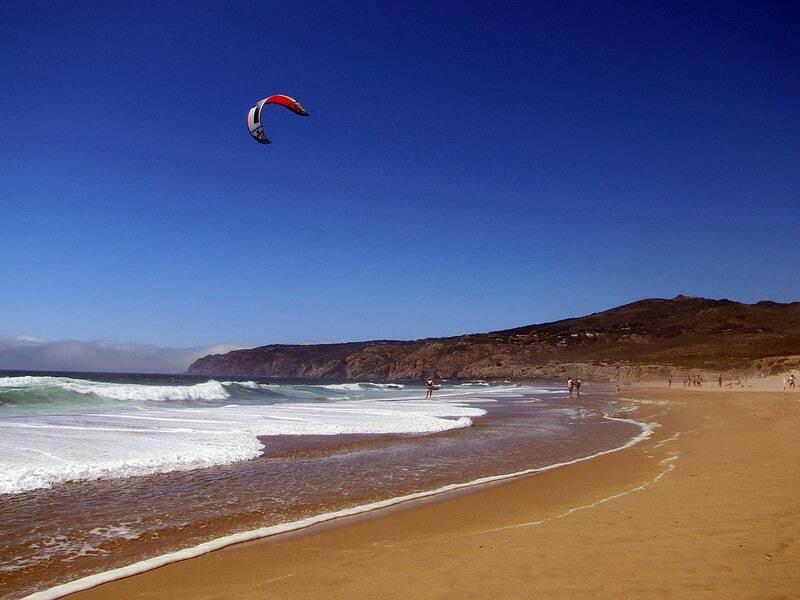 You can reach Cascais by train, and then rent free bicycles to get to Guincho beach situated 8 kilometres away. 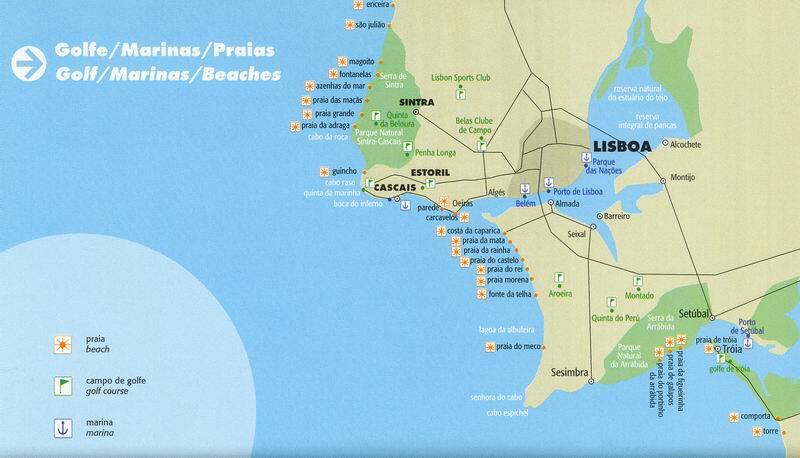 You can also rent a car in Lisbon to access the beaches more easily.